We hired Andy as our DJ for the evening reception of our wedding on the 15th of September, along with the magician Jason and the photo booth. Everything was perfect from the min they arrived. 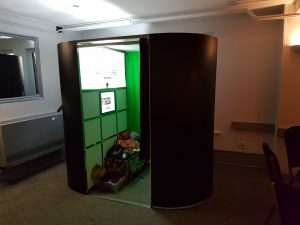 The music was amazing, all the guests loved the magician and photo booth. The service was incredible and I will definitely be recommending to anyone and everyone! Thank you so much Andy for helping make our day special! A pleasure to be involved in Luke & Daniel’s Big Day at Stirk House in Gisburn. 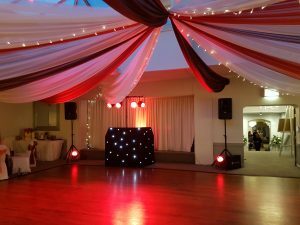 They hired popular wedding DJ Andy B to host their evening reception. 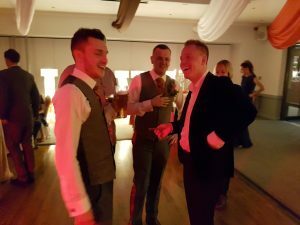 Andy carries a comprehensive selection of music & will be able to cater for most requests on the night, which is something he’ll actively encourage. 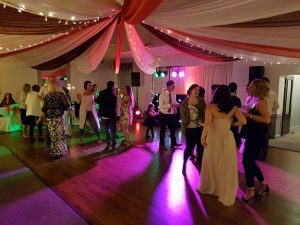 Beforehand, you can go through specific requests for the evening including the first dance & any other special songs (as well as any you don’t want playing!). At this point, you could prepare a whole set list if you like (some clients ask their guests for suggestions to make up a list). You can have as much pre event communication as required to ensure we get it just right on the night. As well as DJ, they also hired our amazing close up magician Jason who left the happy couple astounded! 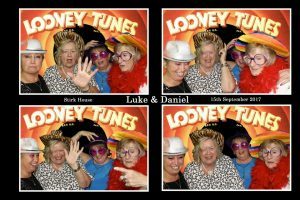 They also hired one of our fun photo booths for the evening which captured some great photos of the guests monkeying around! 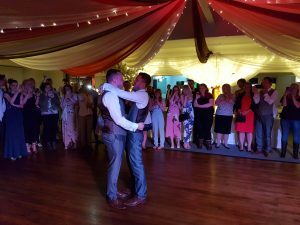 Congratulations Mr & Mr Exley-Lawson!